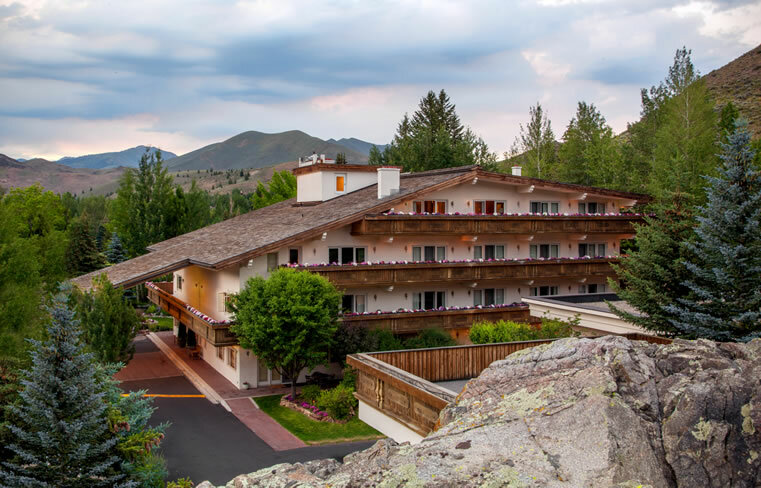 We can’t wait to welcome you to our Sun Valley hotel. Children under the age of 2 stay for free. A nightly $25 extra persons fee will be applied to your bill for children 2 years of age and older. Late check-out: Please make arrangements in advance. If we are unable to accommodate your request, your luggage can be stored for you. Rollaway beds are available at an additional charge of $25 per night. Please contact us ahead of time to ensure your room can accommodate a rollaway bed and make a reservation as there are a limited number of these available. Dogs are welcome as part of our Wagging Tail Escape program. Dog-friendly rooms are limited and therefore subject to availability. Advance reservations are required. Guests traveling with pets must call 800.526.8010 prior to booking to verify availability of a pet-friendly room to avoid the risk of not being able to check in with a pet and/or incurring any associated cancellation penalties. Please note that there is a $50 per dog per day fee and Knob Hill Inn’s Pet Policy Agreement must be signed upon check in. A deposit of the first night plus tax will be charged upon booking your reservation at our Ketchum, Idaho hotel. Full payment, if staying more than one night, will automatically be charged to the credit card on file 14 days prior to arrival, unless otherwise noted. Once final payment is processed it is non-refundable. If staying during the holiday season (December 20 to January 3) full payment, if staying more than one night, will be charged 30 days prior to arrival. Reservations must be cancelled 30 days prior to arrival to receive a refund. Reservations cancelled within 30 days of arrival will not be granted a refund for the first night plus tax. Our Ketchum, Idaho hotel is a non-smoking facility.